Hephzibah, GA – Patsy Surratt, 73, wife of the late Ralph L. “Ronnie” Surratt, entered into rest Monday, February 4, 2019, at Augusta University Medical Center. Graveside services will be held Friday, February 8, 2019, at 11:00 AM from Hillcrest Memorial Park. Family and friends are asked to meet at the graveside. Mrs. Surratt, daughter of the late MaeDee Mixon Price and Clifton Price, Sr, was born in Lyons, GA. She was a beautician and owned several shops during her career. 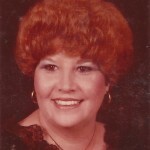 She was preceded in death by her brother, Clifton Price, Jr.
She is survived by her daughter, Lisa Partain (Robert), of Grovetown; her grandson, Tristan Partain, of Grovetown; her brothers, David Price (Gayle), of Twin City, GA, and Phillip Price (Janet), of Martinez; her sister-in-law, Doris Price, of Augusta; and her niece, Christy Price Fuller, of Martinez. Honorary pallbearers will be her nephews, Warren Price, Gerald Price, Kevin Price, John Price, and Derrick Price. If so desired memorial contributions may be made to Georgia Cancer Center, c/o Augusta University, 1411 Laney Walker Blvd, Augusta, GA 30912. The family will receive friends, Thursday, February 7, 2019, from 6:00 until 8:00 PM at the funeral home. Patsy was a dear cousin and we visited often when Sandy and I were with our grandparents in Lyons. She had a sweet smile and disposition and we loved playing together as little girls. I know she will be dearly missed by all her loved ones. Lisa my heart goes out to you and your son and pray you have peace as you grieve. Patsy was a beloved cousin whose memory will remain among my most cherished . My deepest sympathy goes out to her family and friends. May her memory sustain you in your grief.